After two years of blogging for Hot Mama, I’m stepping down as Creative Mama to pursue some other projects. As all mamas know, there are only so many hours in a day, and I’m spread too thin at the moment. 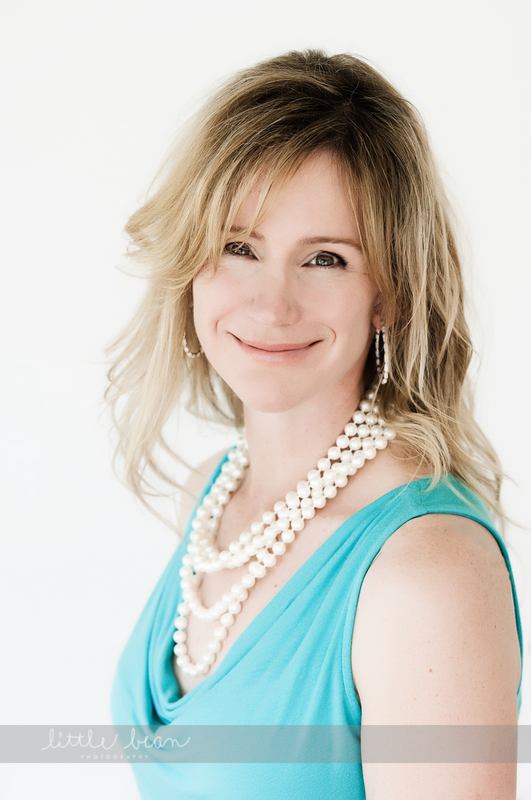 I’ve really enjoyed blogging for shopmama.com. Not only did my kids love all the projects we did for the site, I discovered that I love to write, proving that you can find new creative outlets for yourself any time in your life! I’m going to continue writing about science project for kids, science news relevant to parents and food science at my kitchenpantryscientist blog, where you can find me from now on. Thanks to you and Hot Mama for your support over the last few years! Keep on helping your kids be creative! Click here to watch my video on how to grow window sprouts with your kids, or read on! When I was growing up, we always had a vegetable garden. My mom grew up on a farm and was appalled when my sister or I would throw a fit upon finding a tiny bug in our lovely, homegrown lettuce salad. “Where do you think the lettuce came from?” she would ask, and we’d have to admit that it grew in dirt, outside, and that there are bugs out there. It was an invaluable lesson and one I hope I can pass along to my kids. Our world has become too sterile and disconnected from nature. 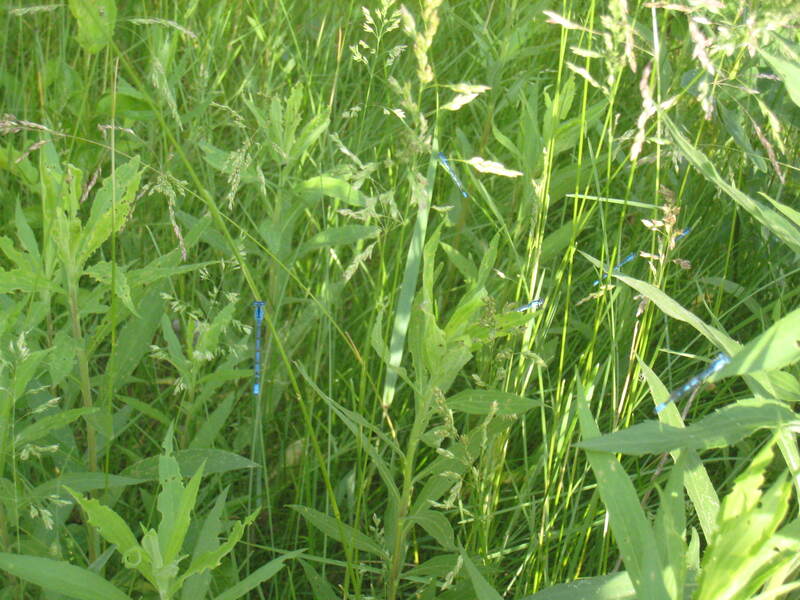 Like plants, we need dirt, sunshine, fresh air and clean water to survive. Who cares about a few bugs? Today, I thought we’d start a few bean and pea sprouts in plastic bags. It’s a perfect project for my three year old. She’ll love to check them every day to see what’s happening, and when it’s warmer, we can transplant them to the garden! I’m sure my older kids will plant sprouts of their own when they see their sister’s! As you do the project, ask your child what they think plants need to grow (Plants need light, air, water and nutrients, or “food.”) Ask them how they think the seed can grow without the dirt as “food.” Tell them that when a plant first sprouts, it gets its nutrients from the seed itself. They can watch the seed shrink as the plant grows. Have them draw the seed/plant in their science notebook as it changes. Older kids can measure the plants as they grow. Eventually, you should be able to transplant them to a cup with dirt, or directly into a garden. You may have to add water to the paper towels if they dry out. Play it by ear. Go ahead! Plant a garden this spring, even a very tiny one in pots! 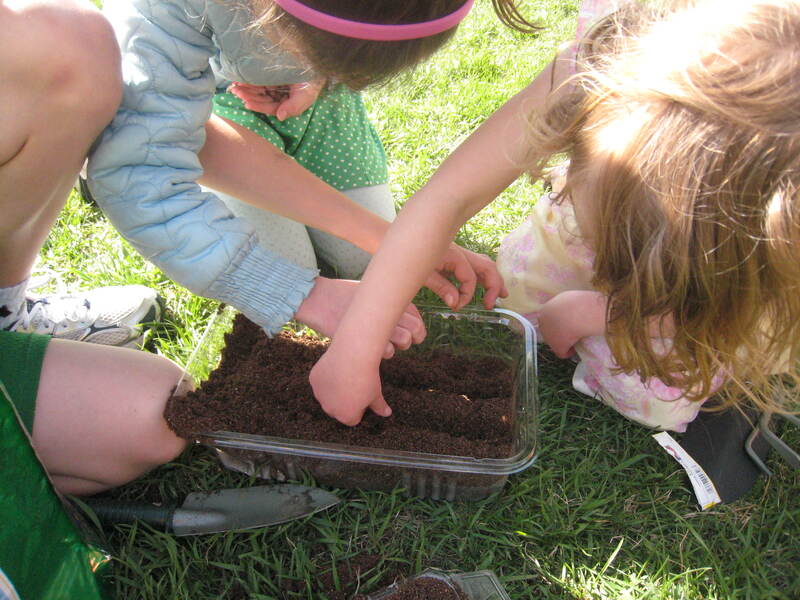 Let your kids get their hands in the dirt. 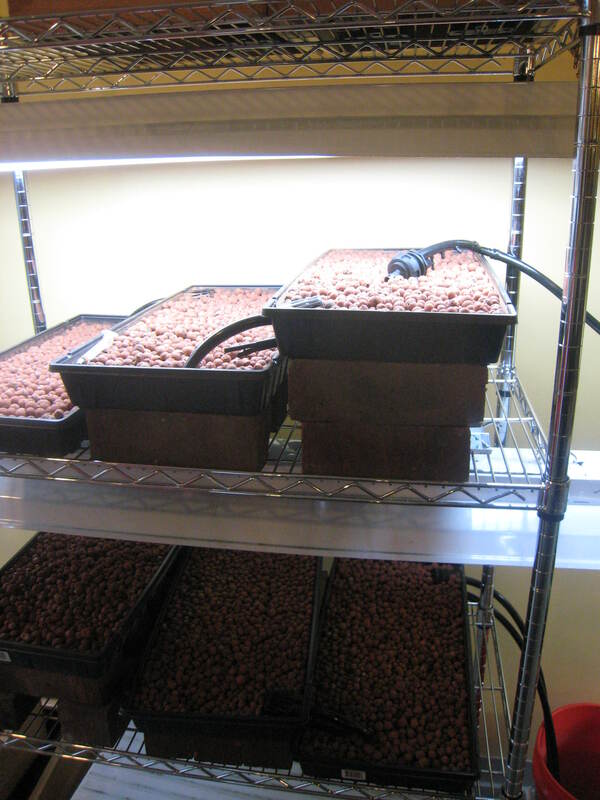 Help them nurture plants that will eventually nurture them. (Children are much more interested in tasting vegetables that they’ve grown themselves. ) 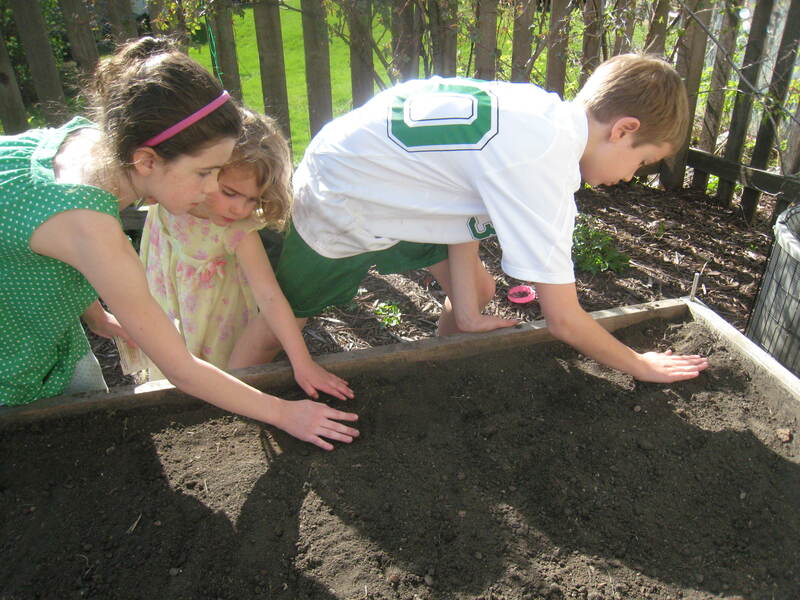 It is one of the most rewarding activities you can do with your children, and takes only dirt, seeds and water! Find your inner farmer and let your children find theirs- organic food is cheap when you grow it yourself! Last week, the Blog Pantry, our Twin Cities women’s blogging group, met at Local D’Lish to make aebleskivers and collect donations for the Minneapolis Crisis Nursery. Local D’Lish is a neighborhood grocery store featuring many, many local, organic, and sustainable foods, located at 208 N 1st Street in downtown Minneapolis. Their local spring produce provided a feast for the eyes as well as the palette. If you live in the Twin Cities, I’d definitely check it out! 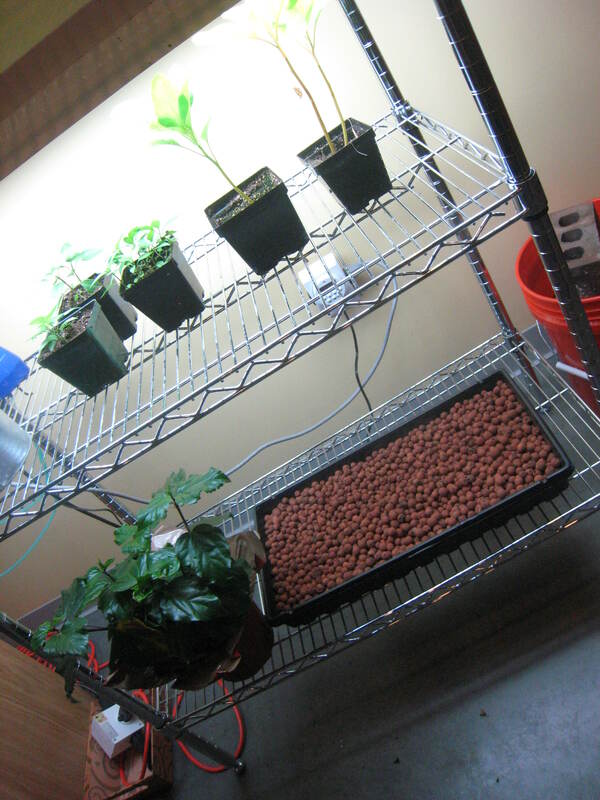 They’ve even got an urban farming set up where they use fish in a tank to fertilize small indoor crops of greens. Your kids will think it’s cool! Aebleskivers are Danish spherical pancakes and they are a blast to make. My mom made them when I was a kid, but I hadn’t had one in years. You use a special pan to cook them and can put a sweet or savory treat in the middle as they brown. We filled ours with bacon, apples, chocolate, herbs, strawberries-you name it, and dipped some in jam, honey or homemade caramel sauce when we ate them. (They’re also great with butter and syrup.) Yum! 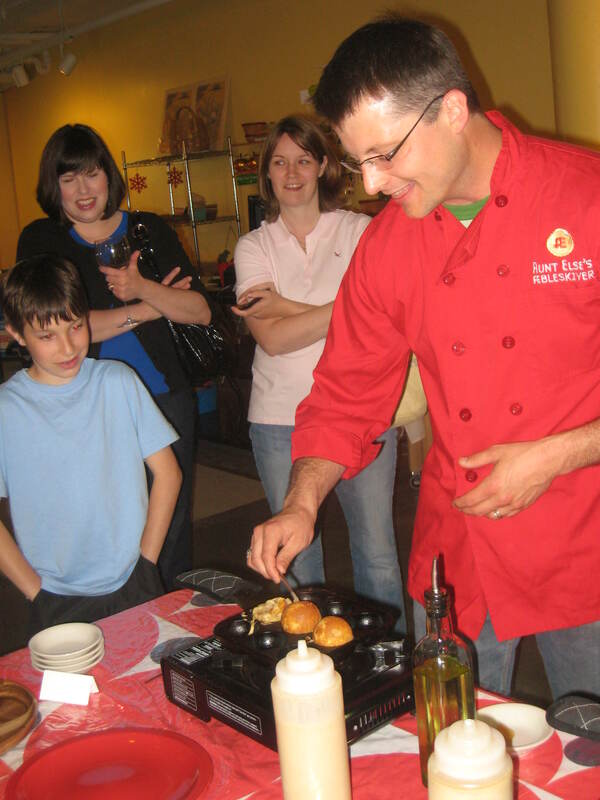 Chad from Aunt Else’s Aebleskivers was there to demonstrate how to turn them with a stainless steel chopstick as they cooked and we had a contest to see who could make the best one! Kids would have a great time making these (with proper supervision, of course.) I think I’ll buy an aebleskiver pan for my parents’ cabin, where we have time for fun, leisurely breakfasts. If you’re looking for a pan, or anything else you need to make these Dutch treats, go to Aunt Else’s Aebleskiver‘s website. 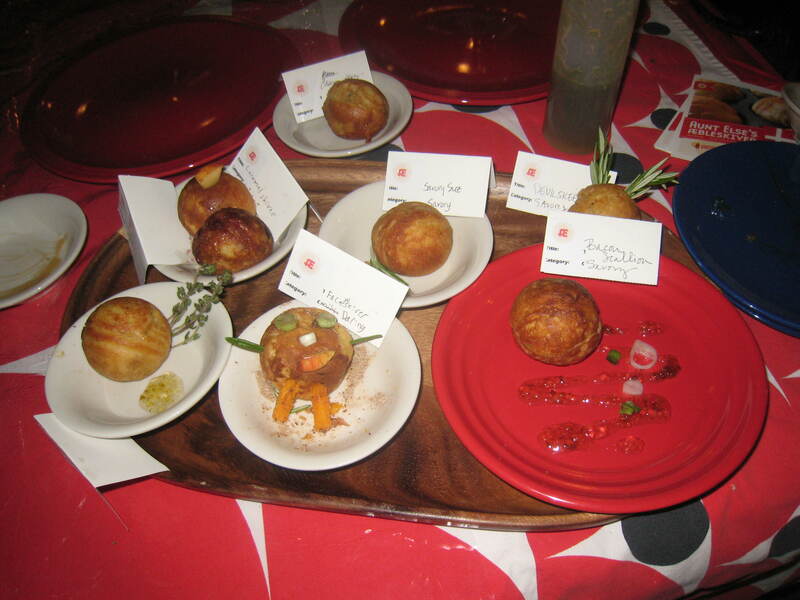 They’re a local company that makes organic aebleskiver mix, gluten-free aebleskiver mix & aebleskiver pans. (Their pans are made at a small, local foundry.) 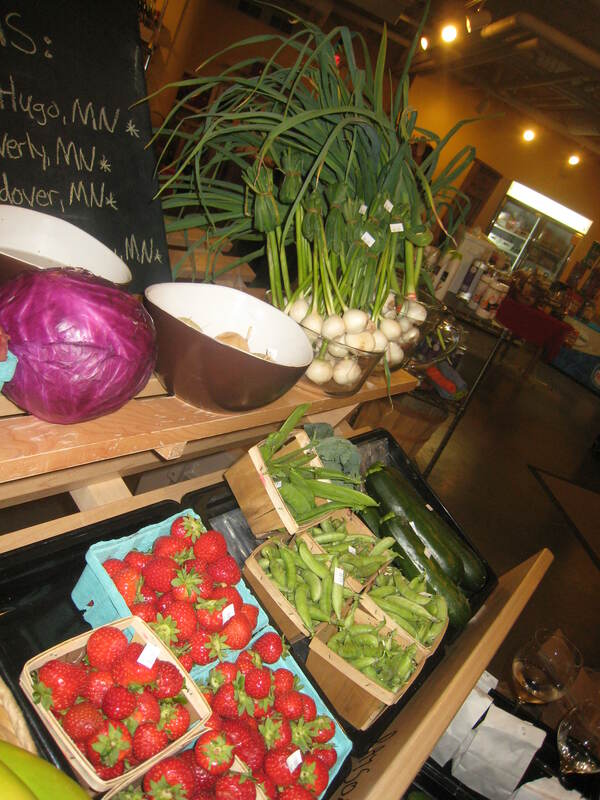 They also make fresh aebleskiverseach Saturday at the Mill City Farmer’s Market, which is a great family destination! My favorite food find at Local D’Lish was the garlic pepper jelly from Lucille’s Kitchen Garden. They make delicious savory pepper jams that are friendly to the Minnesota palate and a new line of Little Lucy’s fruit spreads with amazing combinations like Strawberry-Vanilla & Raspberry-Lime. 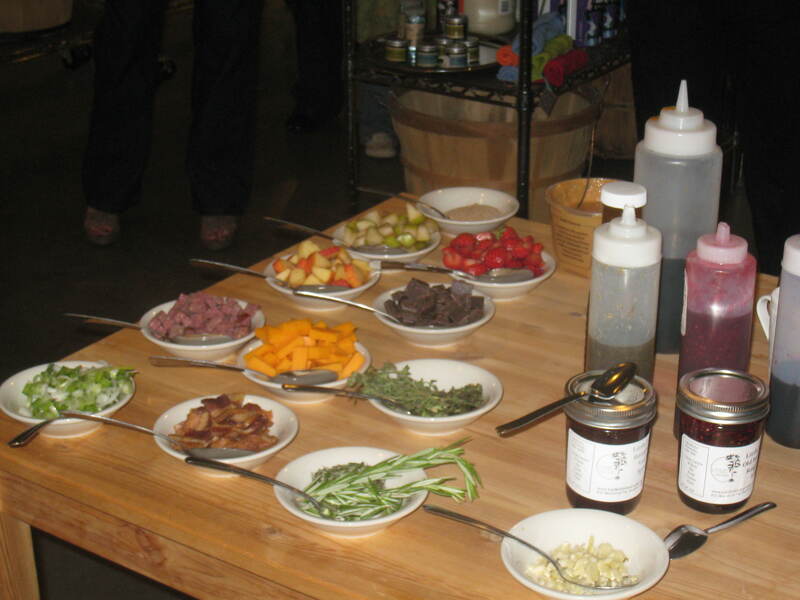 You can find their preserves at stores and their booth at the Mill City Farmer’s Market. 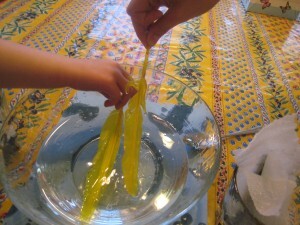 Do you have any favorite, fun foods you like to make with your kids? Today is the last day of school and I’m looking forward to sleeping in and not having to make cold lunches every morning. My kids are looking forward to running free. They’re also looking forward to being allowed to have screen time on weekdays, which I don’t normally allow during the school year. Being the TV referee gets old quickly. Nature bracelets are a fun craft project for a beautiful summer day when you want to get your kids out of the house and into the fresh air. They require no work at all, other than taking a walk and assembling your discoveries on your wrists to create wearable art. It’s simple to do and perfect for all ages. I even had fun making my own bracelet! All you need is duct tape and your walking shoes. Cut the tape so it fits comfortably around your child’s wrist and tape it around like a bracelet, sticky side out. Take a walk in a park or down your own street and have your child find small leaves, flowers and other natural artifacts to adorn their wristlet. My son insisted on bring his GPS to soccer last night to look for geocaches in the park. I grudgingly agreed, thinking it would be easier for me to sit by the playground. We followed him to the woods on the edge of the manicured fields where we discovered a world of damselflies and caterpillars hiding in the weeds. 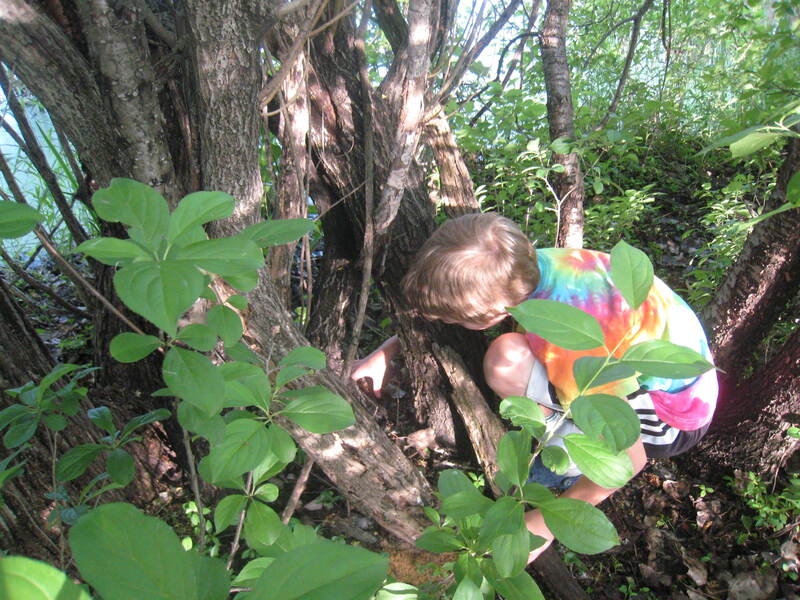 He searched for the cache deeper in the trees while my four-year old pointed out beetles and found one “pink” damselfly among the hundreds of blue ones. I love it when my kids lead me to places I never would have even thought to look. My posts will be spotty over the next few weeks as we finish the school year and ease into summer. When I was mashing up avocados with lime juice and salt the other day to satisfy my craving for guacamole, my kids asked if they could keep the pits. 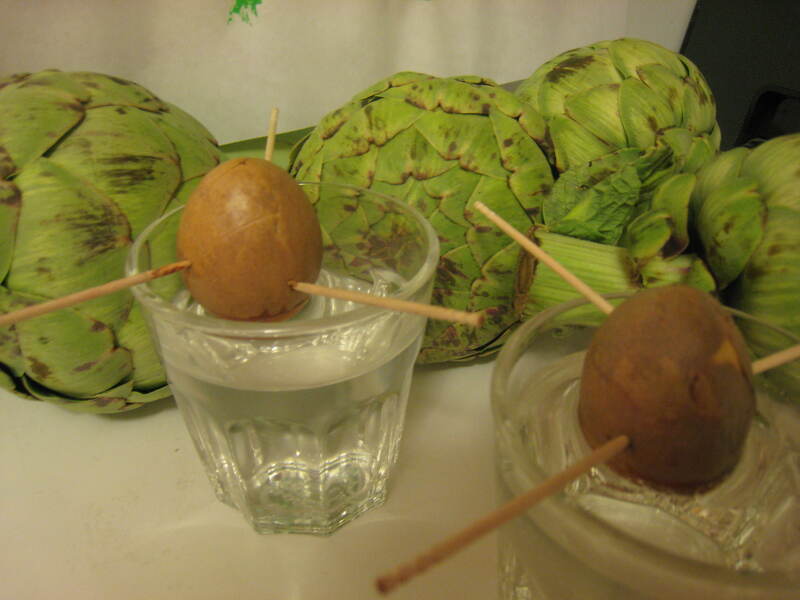 I suggested we sprout them and showed them how to poke toothpicks into the pits and balance them in a glass of water with the pointed end up and the round end sitting in the water. I had no idea that our little science experiment would send me on a trip down memory lane. 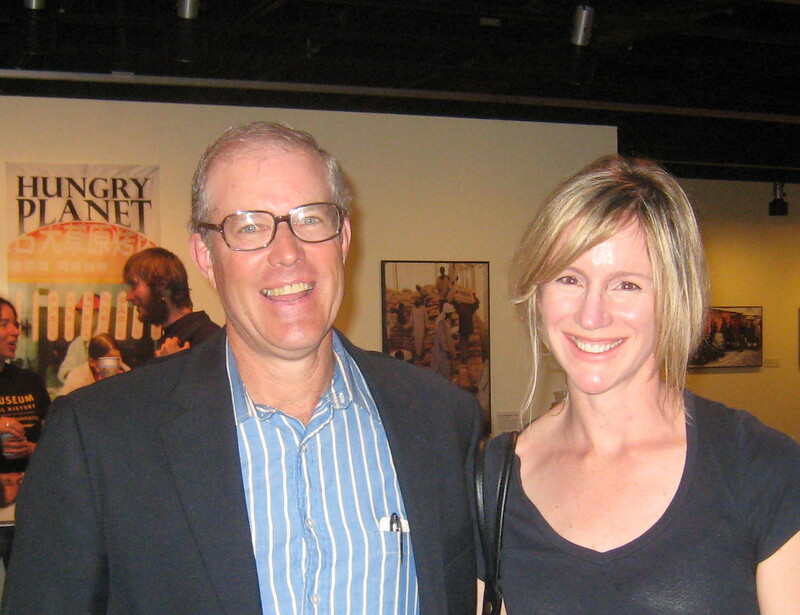 As a kid, I spent my summers living in California while my dad did research at a physics laboratory in the Bay Area. Around 1976, we spent an entire year there when my dad took a sabbatical. We rode the ferry to Sausalito, feasted on hot fudge sundaes at Ghiradelli square and sat on the Berkeley pier eating clam chowder from Spanger’s. Every summer, we took backpacking trips along the coast of Point Reyes, fished in the Truckee river near Lake Tahoe and explored the High Sierras. I was a lucky kid. The funny thing is, what I remember as clearly as all those adventures is that we almost always had a glass with an avocado seed sitting in our kitchen window and now, every time I look at our little science experiment, I think about my mom and the summers of my youth. Maybe I’ll try to keep an avocado pit growing in my kitchen from May to August so that some day, one of my kids will show their own children how to sprout an avocado pit and remember our summers together. The oil spill in the Gulf of Mexico is devastating news to the already fragile and damaged ecosystems in the area. 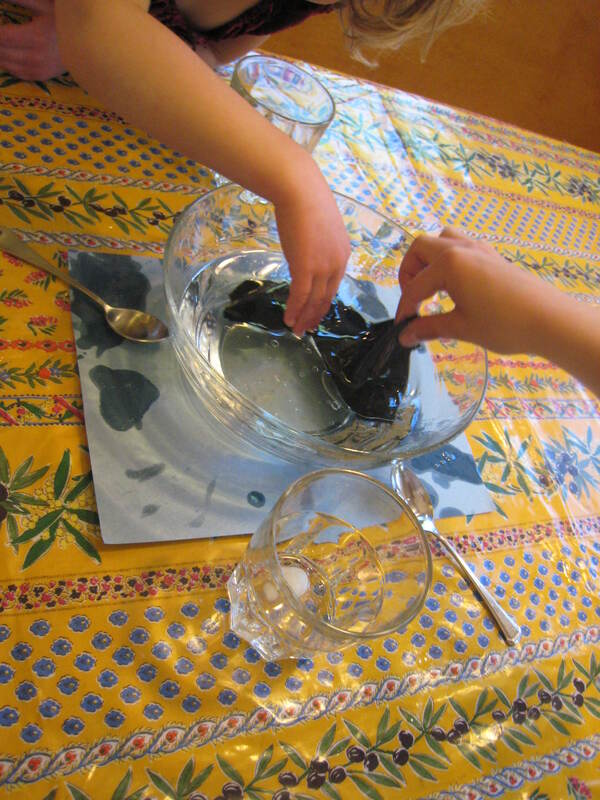 To demonstrate how hard it is to remove oil from water, and what materials work best, I found this experiment online at tryscience.org and decided to have my kids try it. It was messy and disgusting and oil got all over everything. In other words, it was a great demonstration of how hard it will be to clean up the mess made by BP’s Deepwater Horizen oil rig, which exploded on April 20th. Polyester scraps soak up oil. You’ll need a clear bowl, water, yellow oil (vegetable, corn or canola will work,) cotton balls, cheese cloth, polyester cloth (the website said polypropylene, but I couldn’t find any,) feathers, and a spoon. Help your child put some water in the bowl and pour in some oil. I probably added a cup so it would cover the water. Then, using spoons and the other materials, have them try to remove the oil from the water. What works best? Oil is hard to clean off feathers. We put our feathers in oil and then tried to clean them off using dish soap and water, which is how they clean off marine birds covered with oil following oil spills. Polypropylene is a synthetic material made from Carbon and Hydrogen, the same elements in oil. Oil is attracted to polypropylene, and both float on water, so polypropylene is often used in cleaning up oil spills. You can also find it in gloves and sock liners. If one cup of oil is this hard to clean up, can you imagine the mess pouring into the Gulf of Mexico right now, at the rate of about 210,000 gallons a day (according to the New York Times?) I’m attempting to find out if there’s any way to help, aside from travelling to the area to help clean off wildlife by hand. As soon as I learn anything, I’ll post it here! Here is a link to a map that is tracking the spill. 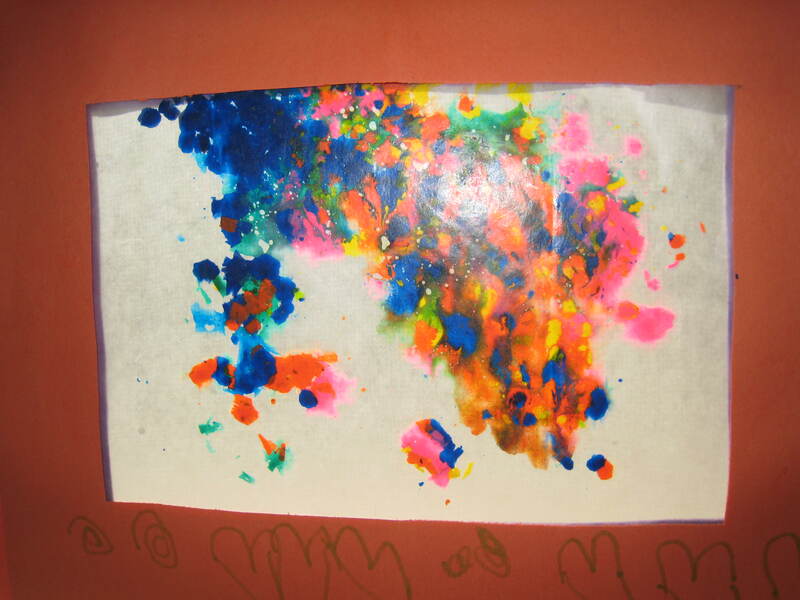 What do you get when you add old crayons to waxed paper? You get beautiful stained “glass”, of course! I remember making these windows in Sunday school when I was little, and decided to see if the kids and I could recreate the project. I have to admit that it took two attempts to get the results I was hoping for. Hopefully, you won’t have any trouble. Waxed paper (like Waxtex) works much better than parchment paper! Your kids will love it! The caveat is that it is a little messy, so be mentally prepared, or just do it outside. 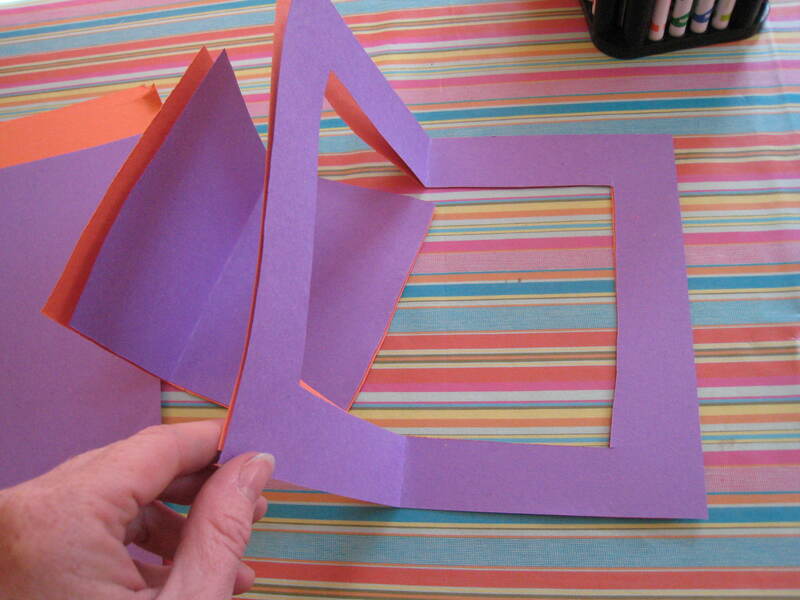 Cut the waxed paper into sheets about the same size as the construction paper (letter-sized). You’ll need two pieces of waxed paper for each “window”. Peel the paper off your old crayons and use the edge of your scissors to shave peelings off of the crayons into several small containers or piles. I found that some crayons work better than others. If a crayon is giving you trouble, kick it to the curb and try another one! The big crayons work really well. Older children will be able to do this themselves, but I just did it for my kids. Have your child put a line of glue around the edge of one of the pieces of waxed paper. 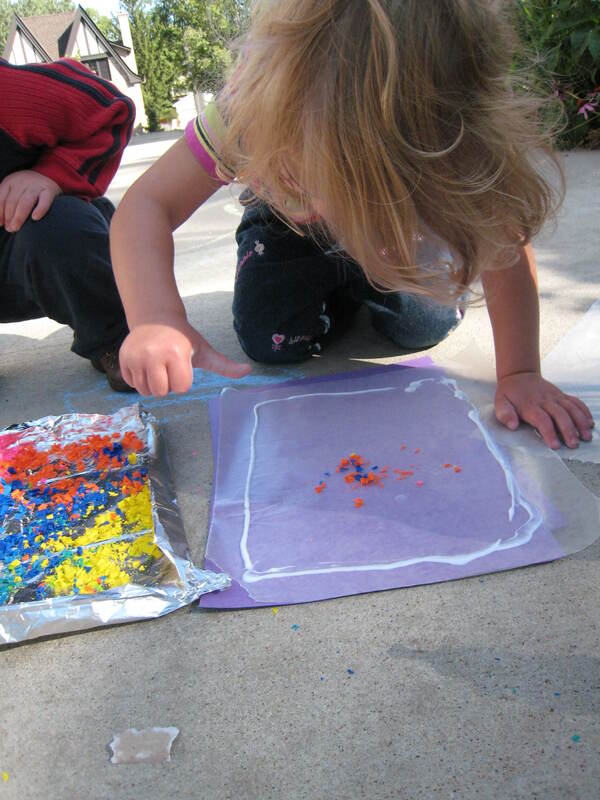 Then, let them sprinkle crayon shavings onto the paper, inside the glue line. When they’re finished, help them place the other piece of waxed paper on top so the crayon shavings are sealed inside. From this point on, it becomes less messy. Set your iron on low. Put the waxed paper between two sheets of foil. (The crayon will leak through the paper.) I ironed right on my kitchen counter with the foil, the “window”, more foil, and finally, a dishtowel on top. The warm iron will melt the wax between the sheets of paper into pretty patterns. Keep checking as you do it. It may take a few trys! If the crayon isn’t melting, just turn your iron up a little! We made frames by putting two pieces of construction paper together, folding them in half, cutting a rectangle from the middle, and gluing our artwork into the resulting frame! Have fun cleaning up crayon shavings! This weekend, we planted a garden. Few things make me happier than watching my kids digging in the dirt, planting things. Maybe it’s because I come from a long line of farmers, or maybe it’s the sun-warmed, homegrown tomato I can almost taste just by thinking about it. I’m looking forward to seeing FRESH this week in Minneapolis, where it will be shown Tues., Wed. and Thursday nights, with Ana in attendance for a Q and A following the screening. I hear the movie is just 70 minutes long, but you will want to talk about it for two hours afterwards! 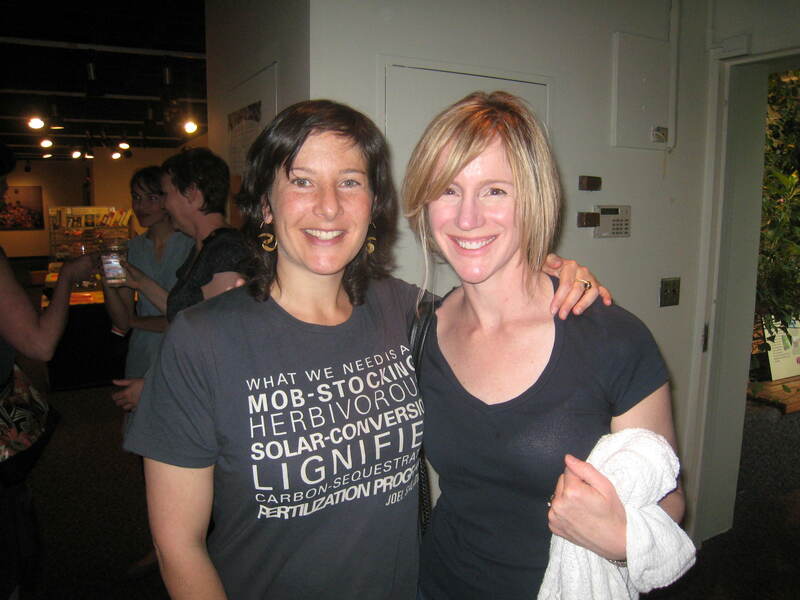 So, if you’re in the Twin Cities, grab your girlfriends or your book club and go see it! You can order tickets here. Supporting local, sustainable agriculture is a grass-roots movement toward healthier food and a better environment for our kids. Who better to get it going than moms like us,who want to see a better future for our kids? After all, we do most of the grocery shopping, so we have the power! Get inspired to buy local and organic when you can and, by all means, plant a garden with your kids! A friend recently served me amazing muffins made with whole wheat pastry flour and pureed zucchini. It was Mark Bittman’s recipe from the New York Times Dining section, one of my favorite foodie reads. His recipe lets you sneak in all kinds of fruits and vegetables, use less sugar and still have a delicious result. The secret is in the flour. Whole wheat pastry flour lets you make healthier baked goods that are lighter in texture than they would be if you used traditional whole wheat flour. I found whole wheat pastry flour at Whole Foods. Sift (or stir) together 1 and 3/4 cups unbleached white flour, 1/2 cup whole wheat pastry flour, 1 Tbs. 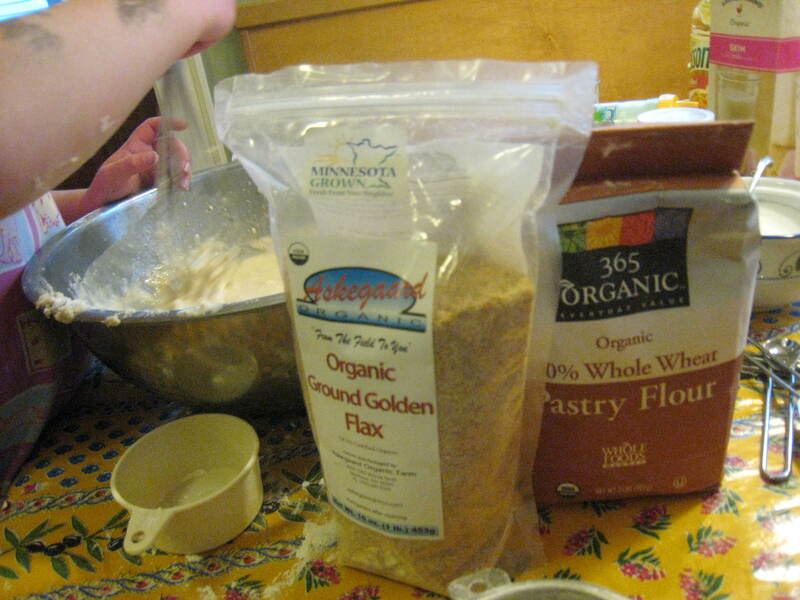 ground golden flaxseed, 4 tsp. baking powder, 3/4 tsp. salt, and 1 and 1/2 Tbs. sugar. Mix 2 beaten eggs, 2 and 1/4 cups milk, and 1/2 cup canola or vegetable oil: add all at once to dry ingredients, beating only till moistened. Bake in preheated waffle maker. Make 10-12. 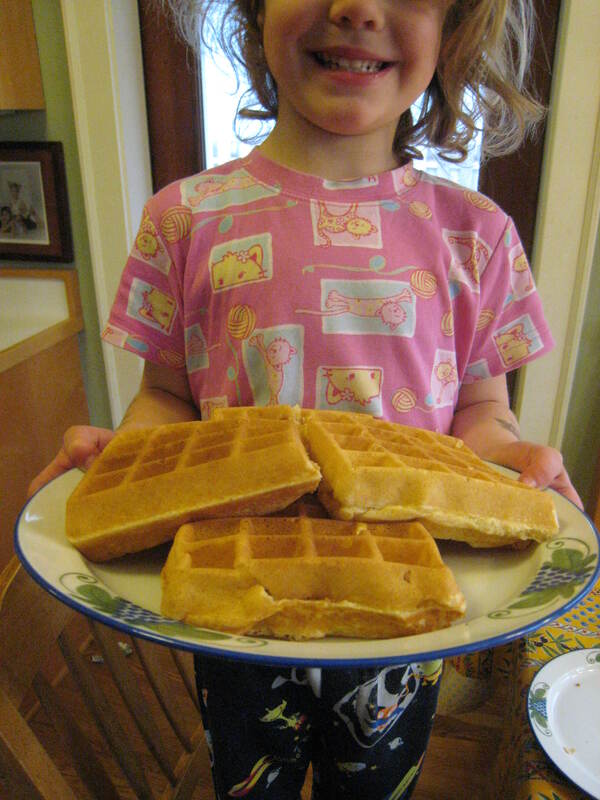 Kids love to cook and you can teach them how to make healthy food they’ll love!